In 1992 by Tribal Council Resolution No. 92-55, the Prairie Band Potawatomi Nation established and activated a court system pursuant to the Tribal Constitution, comprising of the Tribal District Court and Court of Appeals. The Dispute Resolution System was modified by constitutional amendment in 2008 wherein there was established a separate and independent branch of government, a Judicial Council of the Prairie Band Potawatomi Nation. The Judicial Council is comprised of a judge of the District Court, justices of the Court of Appeals and magistrates of the Employment Disputes Tribunal. Also established is a separate mediating branch known as Peacemakers Circle. 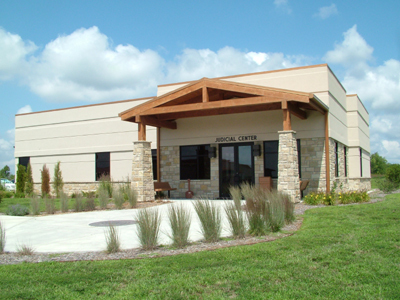 The District Court is a general jurisdiction court of record that hears all matters within the Prairie Band Potawatomi Nation’s jurisdiction except for election and employment-related disputes. The Court of Appeals is the Court of last resort to which appeals may be taken from the District Court. The judicial decisions of the Court of Appeals are final and are not subject to further appeal. The Employment Disputes Tribunal has the responsibility for deciding all government employment-related disputes and is comprised of five individuals called magistrates who are appointed by the Tribal Council and the Nation’s employees. The procedures that govern the actions of the Tribunal will be as defined by the Nation’s law. The Peacemakers Circle is a mediating branch. Members are determined by the General Council and they shall have the authority for mediating disputes voluntarily submitted to them by the involved parties. The Nation’s law will define the procedures that govern the actions of the Peacemakers. The PBPN Healing to Wellness court (HTWC) is unlike the typical criminal court. Gone are the attributes of the adversarial system as the team focuses on the healing process instead of retribution and punishment. The HTWC is a team-based treatment approach system that promotes the wellness of individual tribal members so that they can become powerful and contributing members of the community. Adrian Hale at adrianh@pbpnation.org or by phone 785-966-2242. The bar shall consist of those attorneys and lay advocates admitted to practice before these Courts. Applicant shall file a written petition for admission. Admission is designed to acquaint the applicants with certain aspects of practice in this Court, emphasizing the Tribal law and Tribal Court Rules. Each applicant shall take and subscribe to the Oath of Attorney before being admitted as a member of the bar of this Court. At the direction of the Tribal Court, an attorney may be granted temporary admission to practice in a pending case. Any member of a federally recognized Indian Tribe shall be eligible for admission as a lay advocate and be held to the same standards, be entitled to the same rights, privileges, obligations, and duties, as any attorney admitted to practice before the Courts of the Tribe within this reservation. Any American Bar Association member in good standing of any competent jurisdiction is eligible for admission to the Bar of this Court. Any member of this Bar who is guilty of violating his oath of office, misconduct, disbarred from any court of competent jurisdiction, resigns from the Bar, or who voluntarily permits the expiration of his license to practice, shall be, by this Court, deemed to have been disbarred. Any member of the Bar shall enter his appearance by signing and filing a pleading, or by signing and filing a form prescribed by the Court stating that he is the counsel of record. (B) Not address one another by first names. (C) Not leave while Court is in session, unless Court’s permission has been first obtained. (D) Show respect for all individuals. (E) Not approach jurors who have completed a case unless authorized by the Court. (F) Avoid approaching the bench as much as possible. (G) Advise clients, witnesses, and other interested persons concerning rules of decorum to be observed in Court. (H) Rise when addressing, or being addressed by the Court.